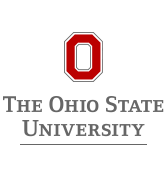 Congratulations on earning your Buckeye Badges badge! 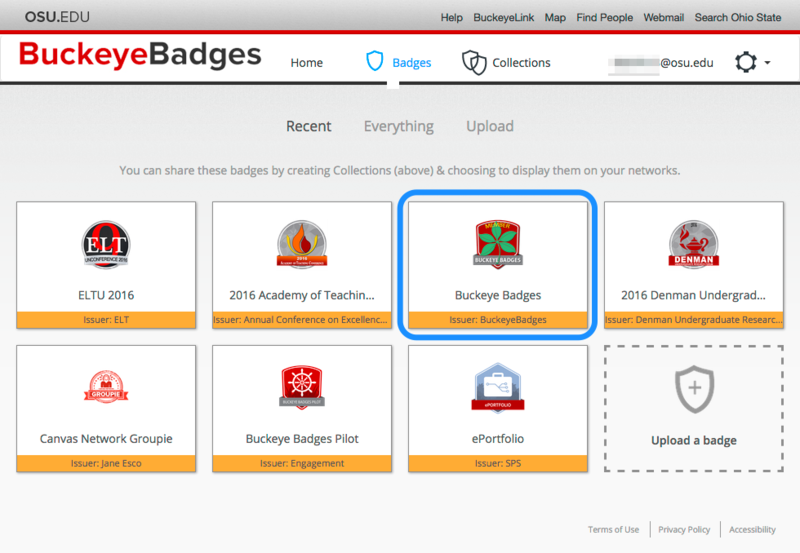 You may want to share your badge achievement with your friends, coworkers, and professional contacts. You can do this through a variety of social media sites such as Twitter, Google+, Facebook, or LinkedIn. 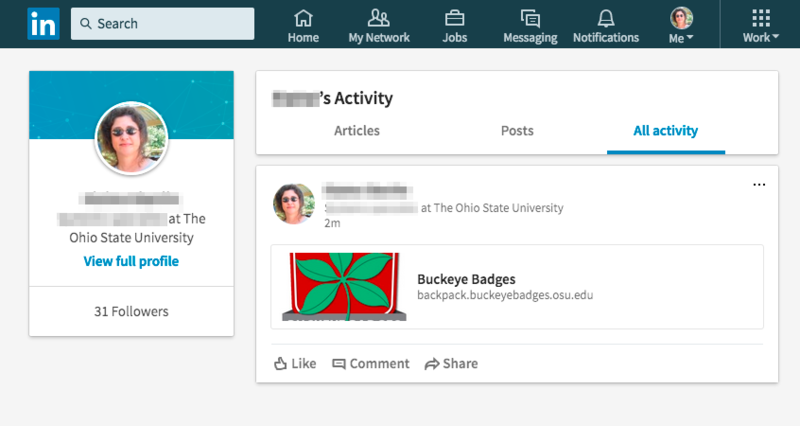 This is a tutorial for how to share your badge on LinkedIn. 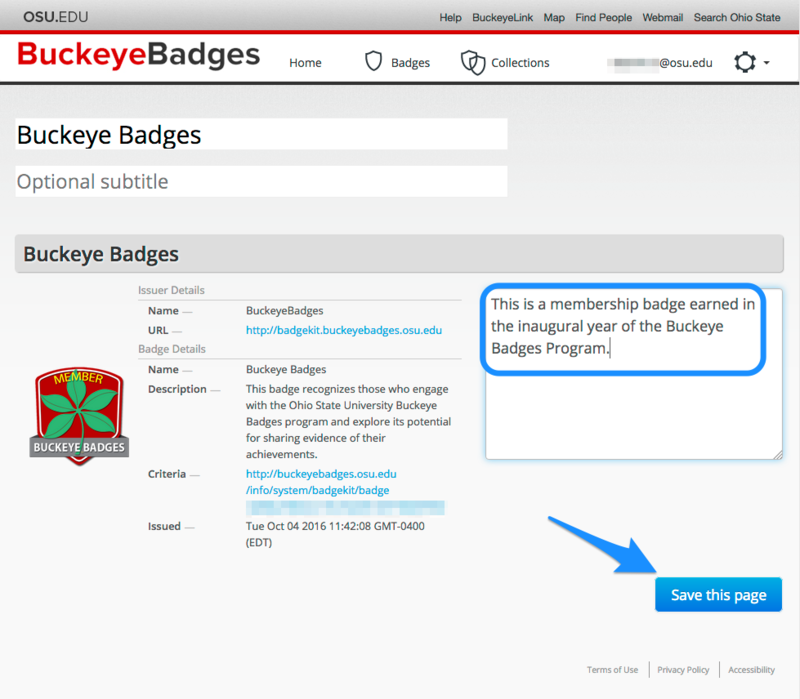 1) First, after you have accepted your badge, log in to the Buckeye Badges website. 2) Click on “Backpack” to view your badges. 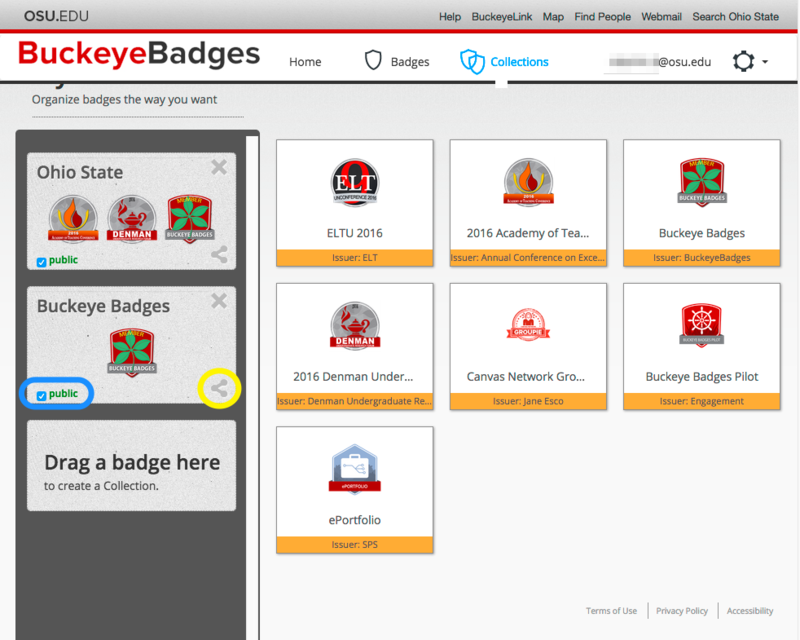 3) You will see your current badges. 4) Click on “Collections” at the top of the page. 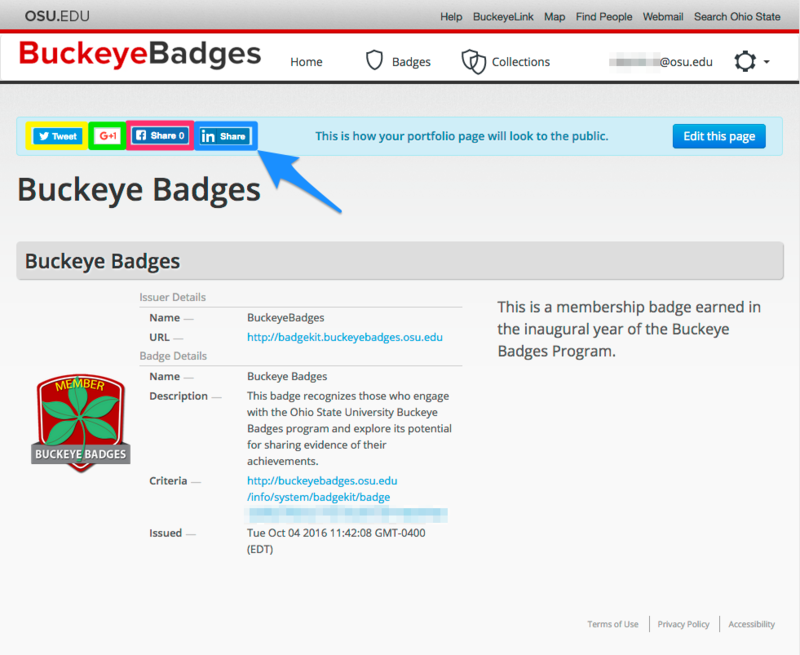 Click and drag your badge into the column on the left side of the screen to create a collection. 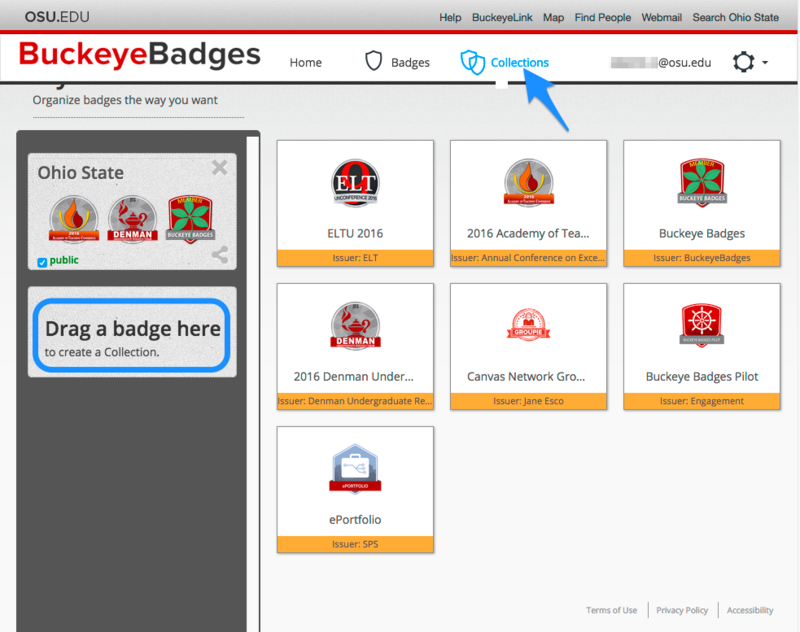 You may put more than one badge into each collection. 5) You can rename your collection by clicking on the text box, “New Collection”. 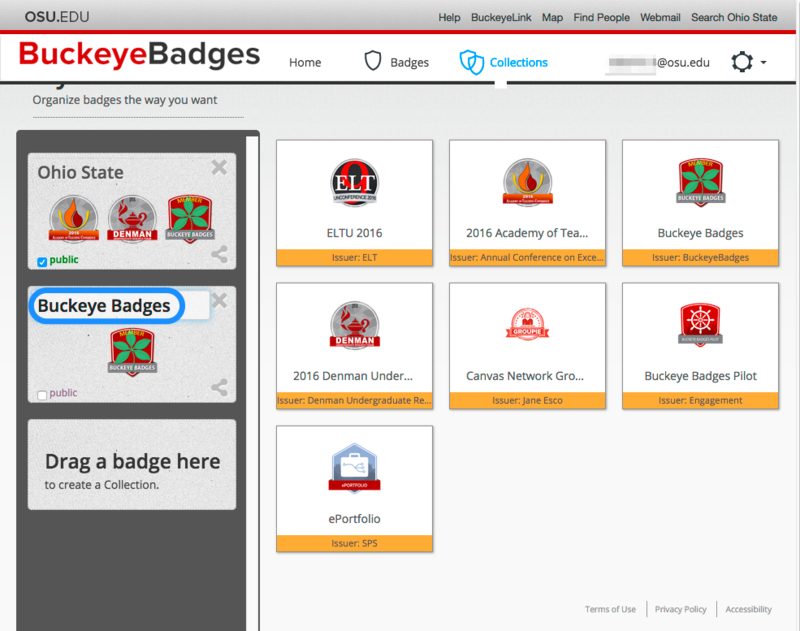 For example, you can call it “Buckeye Badges”. 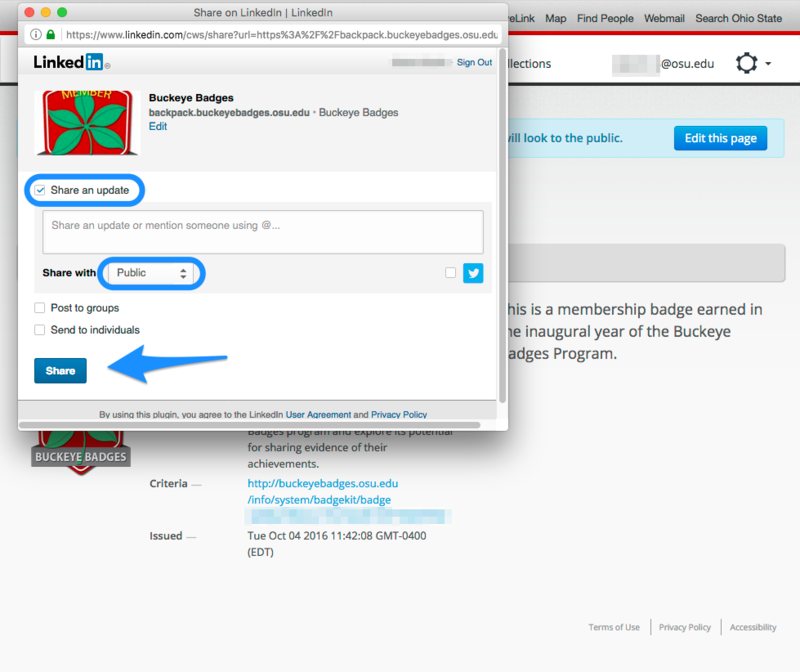 6) Check the box that says “public.” This will allow others to view your badge and its criteria. 7) Then, click on the share icon in the bottom right corner of your Collection box, circled in the picture below. 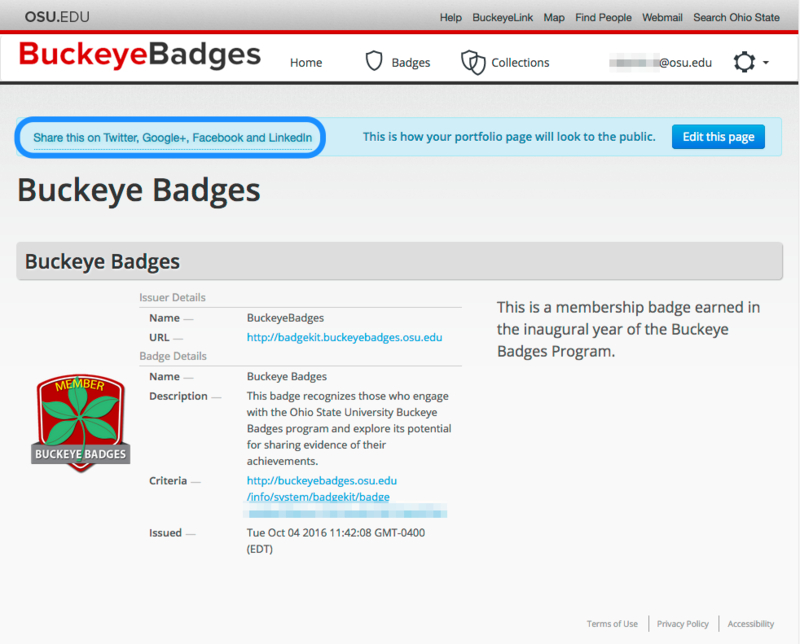 8) A new window opens, showing how your badge page will appear to the public. On the top right, you can click on “Edit this page”, which will allow you to customize how your portfolio page looks to the public. You can add in your own text about value of the badge. Be sure to click “Save this Page” before sharing it on LinkedIn. 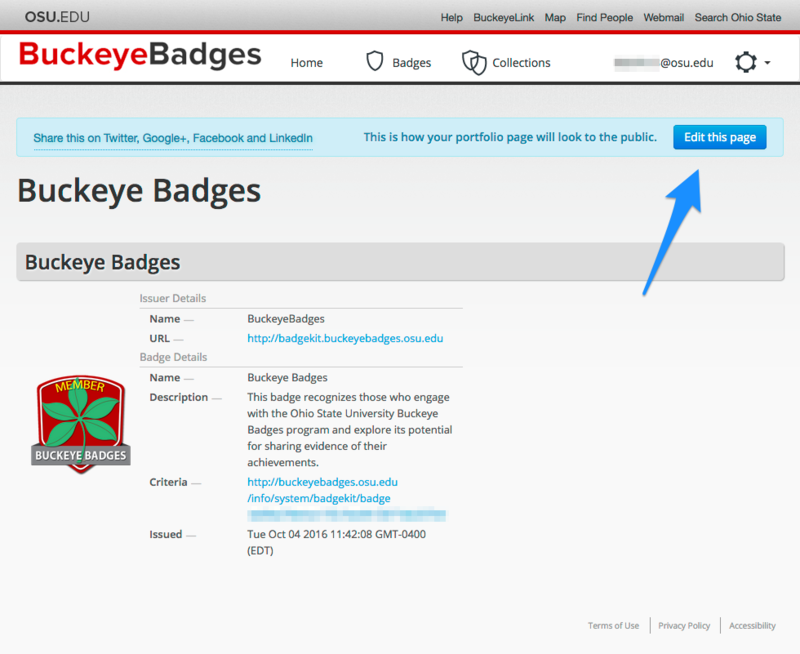 9) After saving your portfolio page, click “Share this on Twitter, Google+, Facebook and LinkedIn.” This is one link. 10) You now have separate links to your favorite social media platforms. 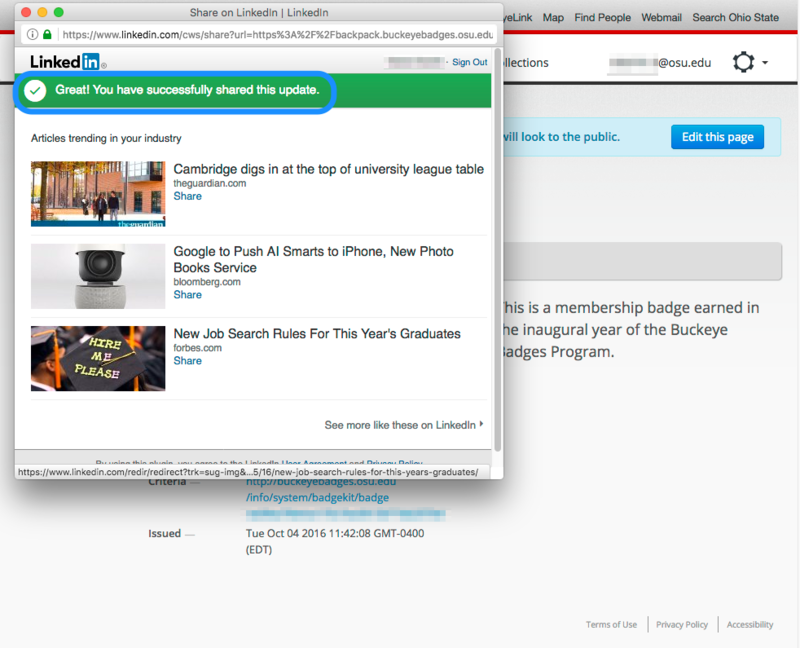 Click the LinkedIn icon to create an update that can be shared with your contacts on LinkedIn. 11) This will open a small pop-up box to create your update. Select those with whom you’d like to share your update - share with the public, connections, or share with specific individuals in your network. 13) To view your update, login to your LinkedIn account. Check Activities.